Most successful salespeople know that being organised when it comes to their lead prospects is a large part of converting those leads into paying customers. Want to know exactly how you're progressing with your sales targets at any point in time? 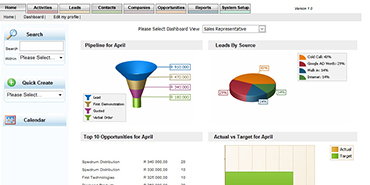 Our performance dashboard is a quick visual snapshot tracking your sales progress for any date range that you choose. No more missed opportunities or leads going cold because you've forgotten to follow up. Recent opportunities: new prospects that you've connected with. Activities: Any sales activity you've done recently, such as following up on prospects, issuing quotes or closing deals. Contacts and companies: These are people you've dealt with recently in your sales pipeline. Graphical "Funnel": this represents your sales pipeline, and includes new leads flowing into it. 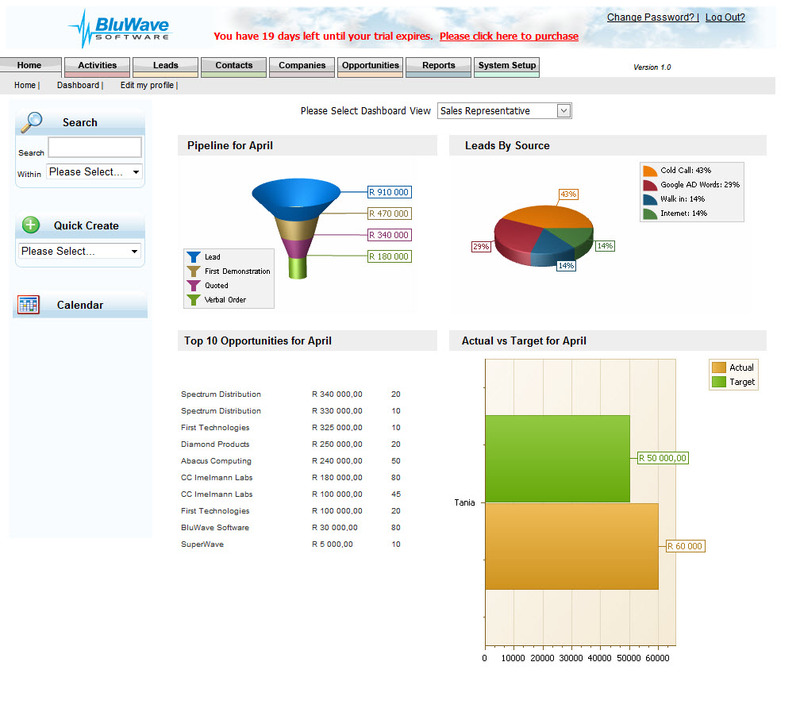 Want to know more about how you can better organise your sales process with BluWave's CRM system? Contact us today.